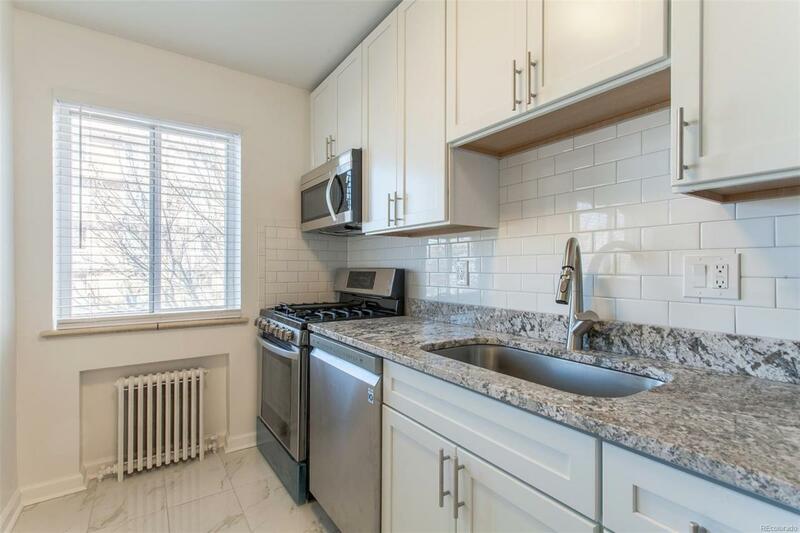 Completely remodeled unit with open floor plan! Updates include new kitchen with stainless steel appliances, granite counter tops and shaker cabinets, new bathroom with marble tile, new drywall/paint/trim and doors, new plumbing and electric fixtures, refinished hardwood floors and all newer (and large) double pane windows. Intimate mid-sized brick building on quiet corner lot with fitness room, secured entry and HUGE fenced yard (dogs off leash allowed). Walking distance to Washington Park, Cherry Creek bike path, and just two blocks from shops, dining, and nightlife on South Broadway. Offered by Zephyr Real Estate Services.